LA CENTER — The city of La Center remains optimistic that the Cowlitz Indian Tribe’s ilani Casino, just on the west side of I-5, will drive more growth between it and the freeway but, for developers, the proposition of building there just got a whole lot more expensive. On Wednesday, the city adopted a Latecomer Agreement with the tribe, which will attempt to pay them back for a $4.26 million sewer line extension between the city and I-5 that was completed earlier this year. The extension was part of a 2016 intergovernmental agreement between La Center and the tribe, in which the tribe paid for needed infrastructure improvements around Exit 16, and agreed to extend a sewer line connection to the freeway. The hope was that the tribe would be able to connect their casino development to the city’s wastewater treatment system. Ultimately, that plan met with a legal challenge from the state. “It was deemed that doing so would violate the Growth Management Act,” says Stephen Horenstein of the Horenstein Law Group, who represented the tribe in that lawsuit, and at Wednesday’s city council meeting. “So the tribe built a very state of the art, impressive wastewater treatment facility that I understand — and I’ve asked the question — can serve not only the existing development there, but the hotel and some future development on that site,” said Horenstein. That $13.4 million plant sits near the Tualatin Aquifer, which provides the bulk of Clark County’s drinking water, raising some environmental concerns. The tribe says it can safely handle up to 400,000 gallons a day, with some room to expand, and that their plant meets or exceeds Federal Safe Drinking Water Act standards. Should the state ever change its mind and decide they would rather have the tribe hook up to La Center’s system, the city could renegotiate the terms of the Latecomer Agreement. 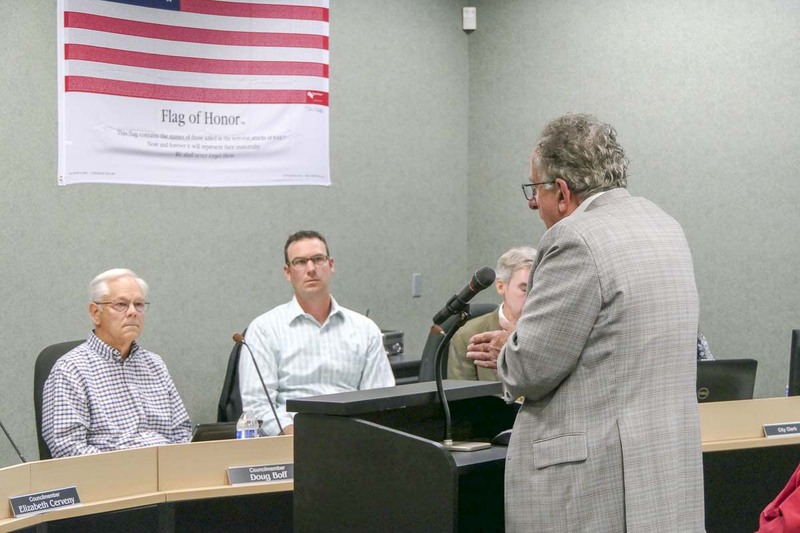 That agreement created enough controversy at the Sept. 12 council meeting that the city decided to postpone a vote until after a Sept. 24 open house. There, property owners expressed some of their concerns. One man owns 5 acres at the junction, closest to I-5, and said the new fees will represent a heavy burden. The Latecomer Agreement is structured to charge properties based on how much they benefit from the new sewer line. 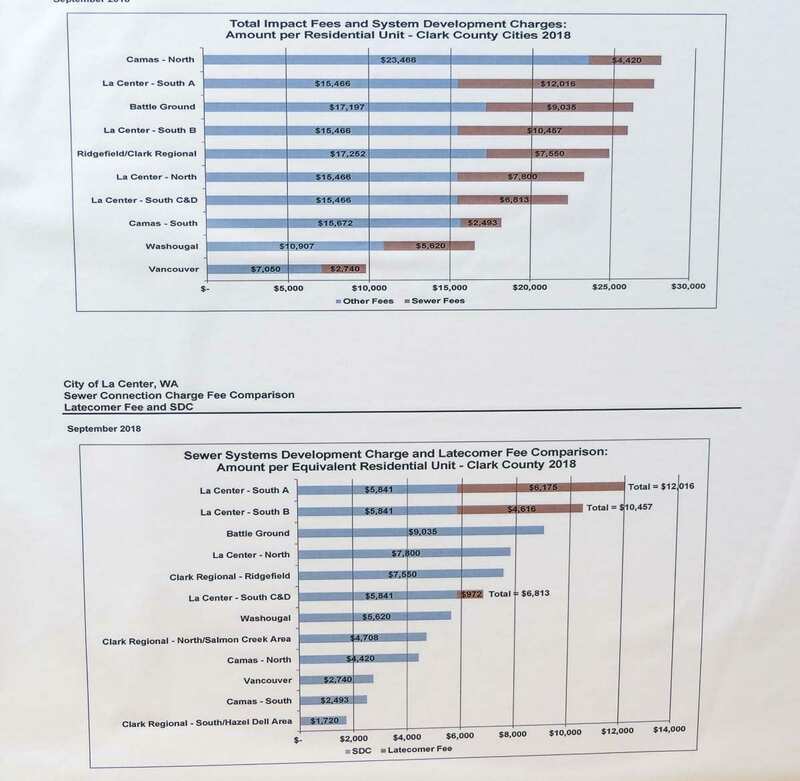 That means lots out at the junction, farthest along the line, would pay around $6,175 per Equivalent Residential Unit (ERU) in fees, compared to just $972 per ERU in properties closest to the city’s existing treatment infrastructure. 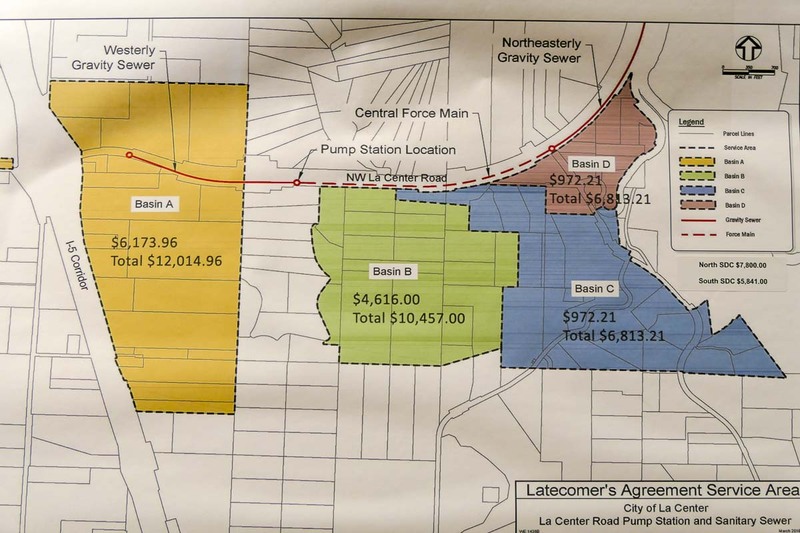 At Monday’s open house, consultant Paul Lewis pointed out that developers along La Center Road would still have had to pay more, even if the tribe didn’t build the sewer line. 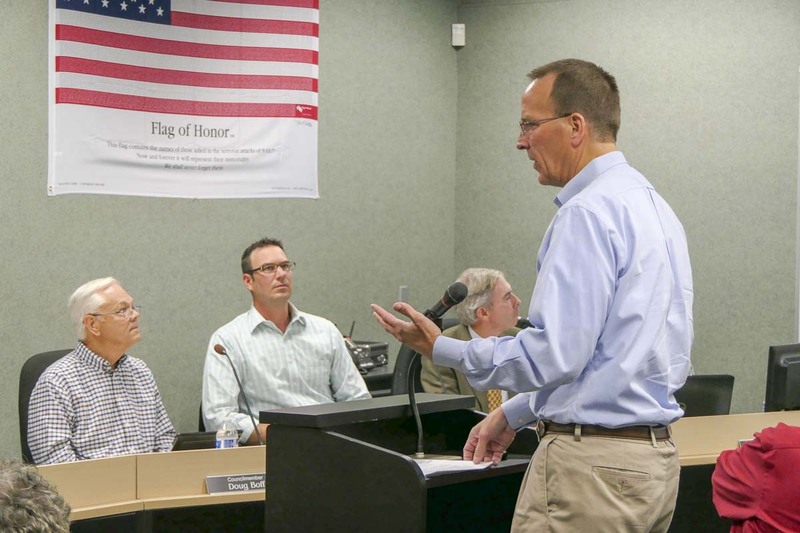 “Absent that line being put in place, if any of these properties were to develop, they would have to figure out how to get sewer service to the wastewater treatment plant themselves,” explained Lewis. The council on Wednesday also approved amending the city code to provide 20 years for the tribe to earn back its investment. That is in line with state rules, but five more years than existing policy in La Center. Horenstein argued that it’s likely the tribe won’t ever get its full investment back. The tribe does own a small parcel of land at the junction, across from the existing Shell gas station. There has been some talk about developing that land, possibly with a tribe-owned gas station. In a strange twist, the tribe would have to pay the Latecomer Fee, which the city would ultimately pass back to them. 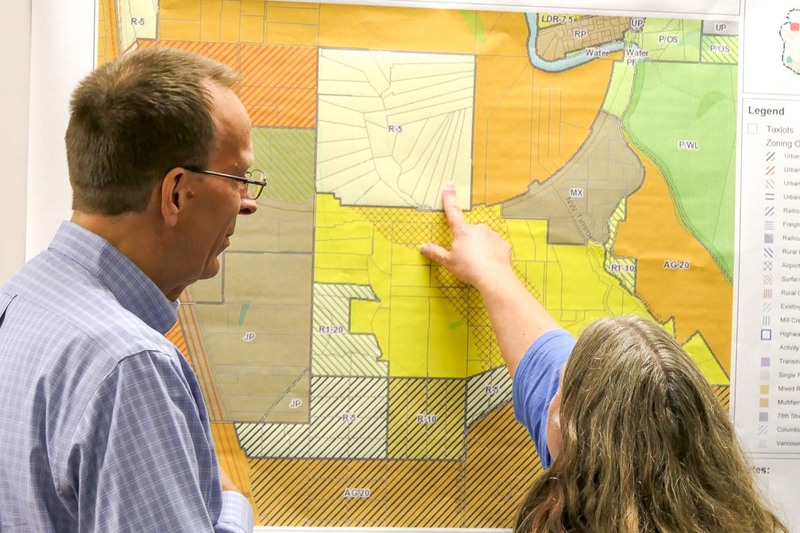 That has raised the question in the minds of some residents about what’s stopping the tribe from simply buying more land east of I-5 and developing it. As part of the intergovernmental agreement, the tribe has agreed not to invoke their rights to any land east of I-5, and Horenstein says any further developments the tribe wants to do would come on the west side of the freeway, near the casino. La Center Mayor Greg Thornton, who was away from Wednesday’s meeting, said on Monday that they remain optimistic developers will come into the city, despite the high cost of doing so. While there is nothing imminent in terms of development, the mayor says they’ve been having conversations and remain hopeful that growth will come along the westside of La Center sooner rather than later.